The Reptune GT is a kit car based on the Austin Mini and the brainchild of a designer by the name of Dennis Prophet. 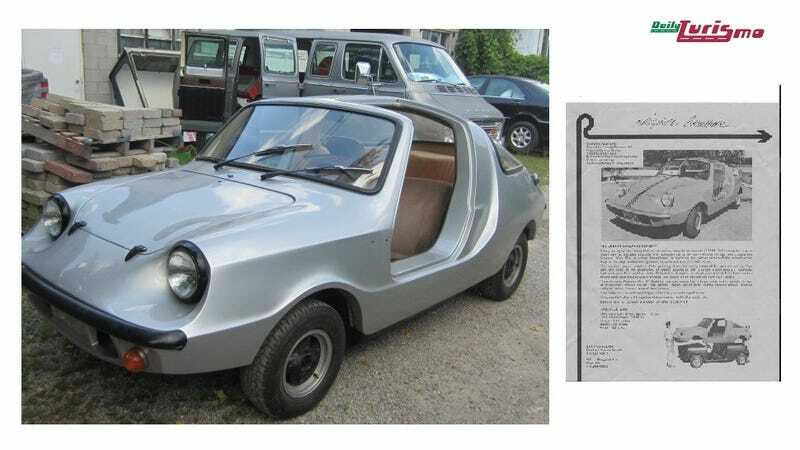 It isn't often that you are able to buy a car from its designer, but this gullwing designed kit car is being sold by the original designer/builder. Find this 1976 Reptune GT is for sale in Ajax, ON via Kijiji.ca for $13,500 CDN. The Reptune GT uses standard Mini front engine, front wheel drive and according to one source this may be one of only a few cars ever built. A vintage Reptune brochure is included below and lists the total vehicle weight as 1390 lbs, making for decent performance even when equipped with the Mini's original putt-putt 4-banger. Originally posted as 15k: Gullwingless: 1976 Reptune GT, Austin Mini Based Kit on Daily Turismo.